Last December with unused British Airways Vouchers lying in our inboxes and a 30th Birthday looming over our heads, we began tossing ideas for our travel plans in February. Totally discouraged by weather forecasts in the UK during the month and the groundwork required for European Visas at the relatively short notice, an invite for a destination wedding in Jaipur was all the nudge we needed to turn our plans a 360 degrees. Both partner and I had seen very little of the much‐loved Rajasthan, and were thrilled by the idea of a road trip. 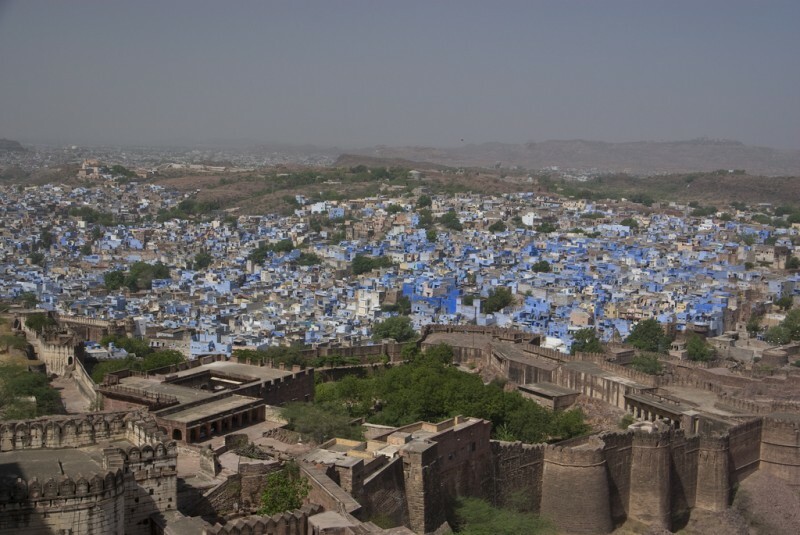 However, what really cinched the deal for us was the 2‐day Sacred Spirit Festival at the Mehrangarh Fort in Jodhpur that had been on our lust list for some years now. A 10‐day itinerary was chalked out, hotels were researched and booked, and multiple to‐do‐lists exchanged. Here is story of Rajasthan through 2000kms travelled between a surreal music festival and a grand Indian wedding. We reached the city just before sun‐down and headed to our hotel to freshen up for our dinner reservations at the Darikhana at the Raas Haveli in the city. One of the 4 properties run by Lebua hotels in Rajasthan, Raas sits strategically at the foot of the Mehrangarh fort, easily the best vantage point to absorb its magnificence. A backdrop of the illuminated fort, the recitations of sufi poetry echoing through the city, and a treat of local flavors of the Lal Maas ‐ the 10 hours on road didn’t seem to matter. We later drove up to the fort to attend the last performance of the festival’s Day‐1. 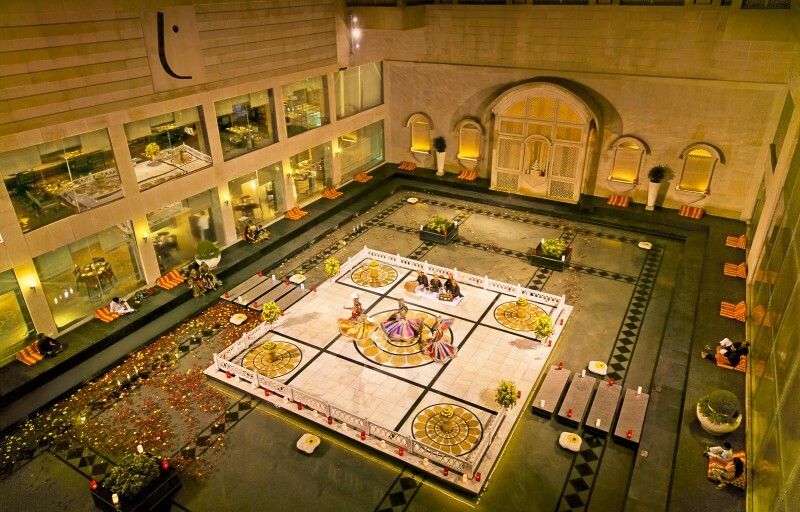 The World Sacred Spirit Festival is an annual 2‐day event organized by Maharaja Gaj Singh of Jodhpur in collaboration with Gordon Matthew Thomas, Sting’s Son. The festival brings together the artists from both India and overseas for some never heard before renditions of Sufi poetry and instrumental jugalbandis. Everyone from the Mangniyars to the Chaar Yaar, from Muktiyar Ali to Mathias Duplessy played at the festival this year. The event is like no other musical festival I have attended before, where the various public spaces of the royal fort come alive as concert venues. At the stroke of midnight at the Daulat Khaana Chowk, stretched out under the stars among the rarest music patrons, head‐bobbing to the sounds of the Khadtal that I rang in my 30th . We often exaggerate in writing to convey the impact of an experience, and sometimes there are never enough words to describe magic. Travel Tip ‐: The highways are nice mostly 4 Lane, once you get through Neemrana its smooth sailing, be careful if you are using the GPS take the Pali route to Jodhpur and not the suggested detour through Sujan. 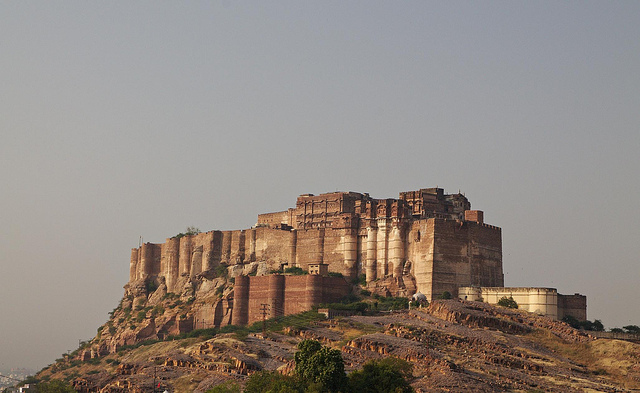 Here's a comprehensive Jodhpur Travel Guide. You could also book your trip here! Sam Sand Dunes at Jaisalmer was our next stop on the journey. There are innumerable camps in the area that offer a combined package including stay at the tents, Camel Safaris and meals (because you possibly won’t drive 50 km to the city to get grub). 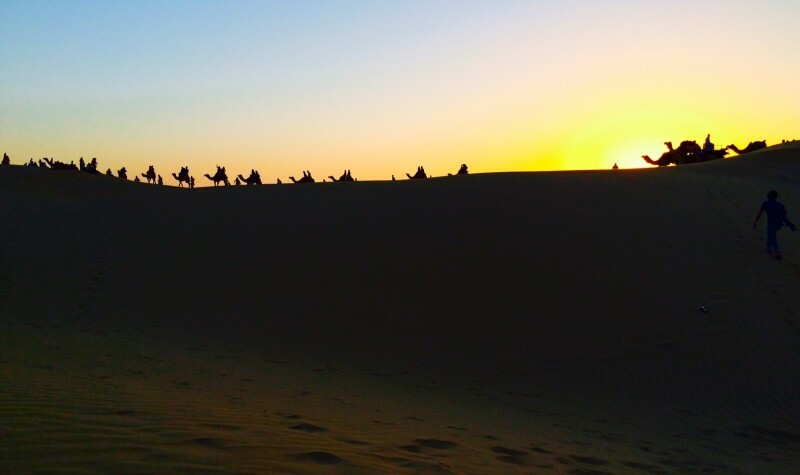 The camel safari that took us to watch the sun‐set in the dune area was overtly commercialized. We instantly felt guilty for piling our weight on to the ship of the desert, largely because it looked like they aren’t treated very well by their keepers. The real highlight of the experience is the evening cultural performances before a sumptuous Rajasthani meal that refreshed us after the adventures of the day. Late in the night, we meandered off into the desert for some star gazing and some quiet time – rarest of luxuries to us city dwellers. Our experience at the camp was heightened by the level of personal attention and service that the camp provided in the middle of nowhere. The following day we checked in at The Gulaal Hotel, an earnest effort of a brother duo (who previously worked as bilingual travel guides) to recreate the charm of a traditional Haveli without compromising on the comforts of the modern day living. With a lot to do and only a day at hand we decided to hire an auto to show us around the Jaisalmer fort area which is like no other in Rajasthan. Historically a tax point on an old trade route it's the only fort where you'll find local households within the fort premises. Thus there are no boundaries to where the fort ends and the city begins. The hum-drum of daily life weaves around the Sonar Qila, co-existing and sharing both its splendor and decay. A stroll through narrow by‐lanes discovering hidden terraces finding vantage points and local cafes is an engrossing experience. Besides the fort and the vicinity is rife with ornate havelis of which Patwao ki haveli stands out for its obsessive detail. We wrapped up the day with a sun downer at Gadisar Lake, taking numerous pictures in the perfect light at dusk. Travel Tip – although the highway from Jodhpur to Jaisalmer is 2‐lane, it is mostly free from traffic and therefore an absolute driving heaven. Watch out for the Signage though. Can Skip: The Camel rides at the Desert for the discomfort to both humans and camels! 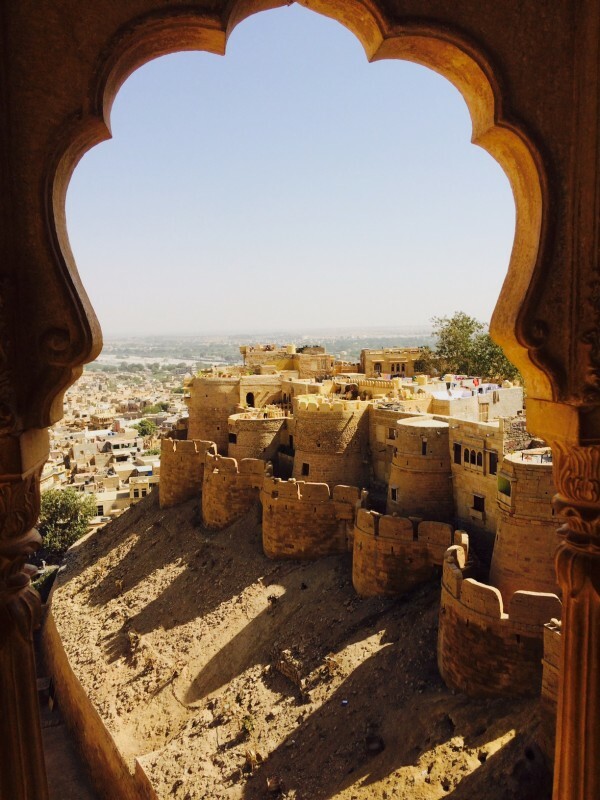 Here's a comprehensive Jaisalmer Travel Guide. You could also book your trip here! Since driving from Jaisalmer to Udaipur can be a very long and arduous journey involving hill roads, we decided to come back to Jodhpur for a day from Jaisalmer. Also, our last leg had left us wanting to see more of the city and its markets, buying junk jewelry and drinking the famous Bhati Chai at Bhati Chowk! Our reservations were made for dinner at the Upre (because the more popular Ambrai was sold out for both days) and it is only when we arrived at their lakeside terrace, did we realize why Udaipur remains unique and more popular than the other cities in Rajasthan. The illuminated Jag Mandir Palace sits in the centre of the Lake and inspired the pavilions of the Taj Mahal (Jag Mandir which was used as a retreat palace by Mewar served as the living quarter of Shah Jehan while he was in hiding from his father). 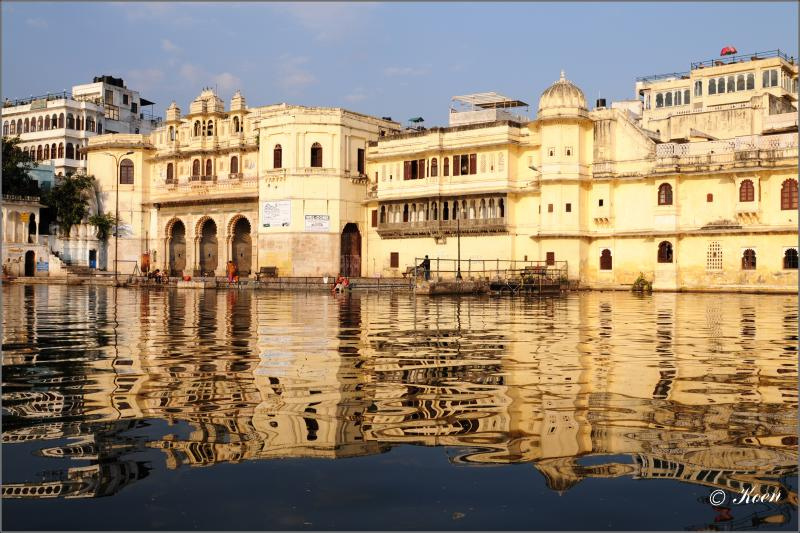 The next day was spent exploring the city palace and taking a boat ride to the Jag Mandir, soaking in the architecture of the city along the lake. Udaipur, the most precious jewel of the kingdom of Mewar, was built by Maharana Udai Singh after Akbar captured their capital at Chittor. The city due to its very expensive and luxurious properties, steep entry ticket prices seems to exude exclusive, an almost curated vibe. It contrasted sharply with the very rustic aura of Jaisalmer or the raw appeal of Jodhpur. Must Eat: At one of the riverside restaurants – Ambrai and Upre are some of the more popular ones and need reservations in advance! Travel Tip – The last 100 Kms of this leg is a drive through narrow hill roads, so it will take you more time than you anticipate. Also, once at the city, it is recommended to park your car at the hotel premises and take an auto to the very narrow lanes of the city. Here's a comprehensive Udaipur Travel Guide. You could also book your trip here! In last leg of our trip, since we were attending a wedding at the Lalit, Jaipur, it would be fair to say that we never left the hotel premises! Having travelled and wandered like nomads in the past week, we were glad to just park ourselves in our rooms and only venture to the function venues for the perennial supply of food. No, the shopping couldn’t tempt us either! Must Do: Go Back, when not attending a wedding! Travel Tip: Udaipur to Jaipur can conveniently be travelled in 5 hours via the new 4‐lane highway that goes through Chittorgarh. Traffic is heavy so even though the roads are good, you will only manage average speeds. 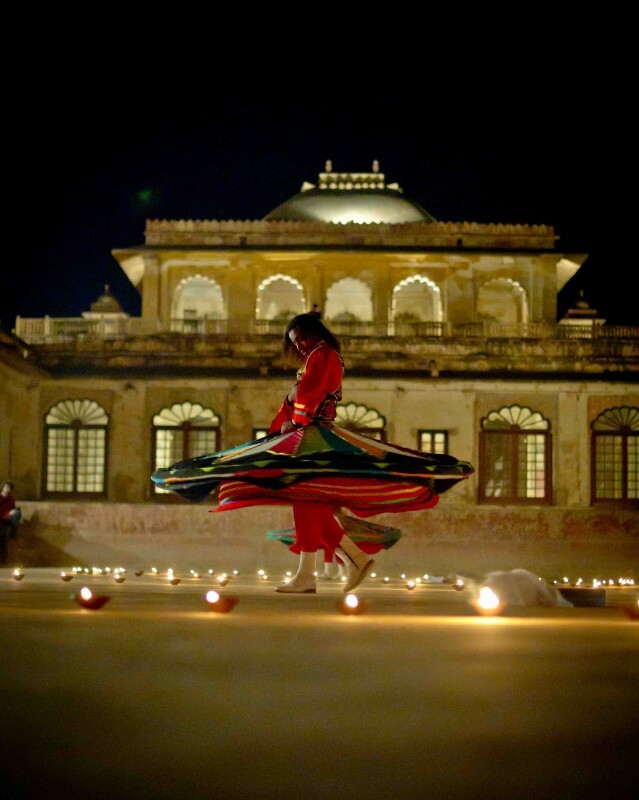 Here's a comprehensive Jaipur Travel Guide. You could also book your trip here! About the author: Neetika Wahi is an architect/interior designer working in New Delhi, India, who loves to travel and write. She grew up in various parts of North India, has travelled through all of Europe as part of Study-Abroad programs, studied/lived in the Midwest USA, was bowled over by South-East Asia's hospitality but only to lose her heart to the beauty of Leh/Ladakh. She also writes posts for Holidify, a platform to discover weekend getaways and other holiday options in India.